I've got two (not terribly well maintained) blogs. The other one, titled "Health, Not Medicine" is intended to focus on the distinction between health (which is what we really desire) and health care (which is what we seem to spend most of our time obsessing over). I was just thinking that a post I put up on that other blog could have just as well been placed on this medicine & media blog, because it tells the tale of my response to a marketing pitch... and the noteworthy silence that followed. The Medical Science of House, M.D. Fox12 News Report on "The Medical Science of House, M.D. Buy my books: "The Medical Science of House, M.D." 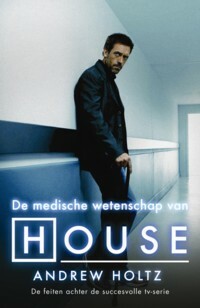 "House, M.D. vs. Reality" "The Real Grey's Anatomy"
Are Doctors the Best Source for Medical News? copyright owned by Pictures, Inc. dba HoltzReport. Picture Window theme. Powered by Blogger.